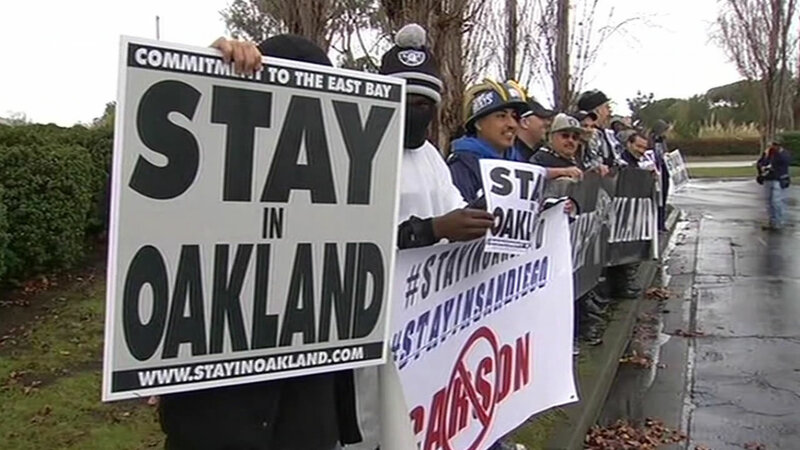 OAKLAND, Calif. (KGO) -- Oakland Mayor Libby Schaaf has announced the city has reached a framework agreement with the hopes of keeping the Raiders. The agreement was reached with a group led by NFL Hall of Famer Ronnie Lott for the Oakland Coliseum property. The specifics of the deal have not been released, but if approved by the city council and Alameda County board of supervisors, it would give Lott's group the right to negotiate with the Raiders on a new stadium at the Coliseum. The deal does not include Raiders, and Raiders owner Mark Davis has not agreed to stay in Oakland. Schaaf is presenting the deal to a closed door session of the Board of Supervisors. If passed, it would then go to the Oakland City Council on Nov. 29. Click here for more stories about the Raiders. ESPN has contributed to this report.